The vocalist of the Malaysian nasyid group, Rabbani, Mohd Asri Ibrahim, died of a heart attack at the Pantai Medical Centre, here today. He was 40. Mohd Asri collapsed during a recording of a television programme in Angkasapuri about 10.30am and was taken to the hospital where he was pronounced dead at 11am. His brother-in-law, Adha Buyong, said Asri, who was born on Aug 3, 1969, in Klang, Selangor, was also suffering from hypertension and diabetes. “This morning, he complained of not feeling well and vomiting, but insisted on completing the recording of the Syahadah programme for RTM (Radio Television Malaysia),” he said when met at the hospital here. A post-morterm which was initially scheduled to be held at University Hospital to determine the cause of death, however, was not carried out at the request of his widow Haliza Shahadan, 39, who wanted the body to be immediately buried. Asri’s body was prepared for burial at the hospital before taken to his house at Kampung Bukit Lanchong in Shah Alam for special prayers to be performed. He was laid to rest at the Muslim Cemetery in Section 21 after Maghrib prayers. Asri, also a renowned motivational speaker in schools and universities, is survived by Halizah Shahzan, 39 and six children — Mohd Nasimudin, 15, Mohd Fathi, 14, Nur Atikah, 12, Mohd Ilhan, 10, Sufiyah Munawarah, six and Hamdi Rabbani, four. Asri joined the nine-member nasyid group since its establishment in March 1997. Other members of the group are Mohd Asri Baidul @ Ubaidullah, Azadan Abdul Aziz, Muhammad Luqman Abd Aziz, Muhammad Rithauddeen Yaakob, Mohamad Afandi Shahbudin, Ahmad Shafie, Nazrul Azhar Tamrin and Zulkiflee Azman. 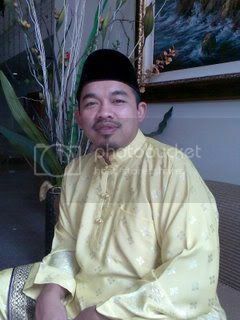 Rabbani bagged the Most Popular Nasyid Group/Artist award of the Berita Harian’s Anugerah Bintang Popular for eight consecutive years. Their albums entitled Iqrar-1421, Intifada, Qiblat and Nostalgia Nada Murni, also won the Best Nasyid Album for 2001, 2002, 2003 and 2009, respectively.